Data centers house some of the most valuable and irreplaceable assets for any organization. For this reason, physical and environmental security is of the utmost importance when designing a data center. 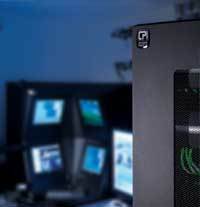 CPI’s Environmental Monitoring and Security Systems provide a variety of products to meet the need for security and monitoring within the data center. This Electronic Locking Systems provide enhanced security for cabinets and enclosures that eliminates the need for keys and allows quick lock reprogramming if there is a security concern. Monitor a single cabinet or multiple cabinets in various location using CPI’s Remote Infrastructure Management Products. These products give you the ability to remotely monitor, record and analyze environmental security and safety conditions in your data center and equipment rooms. Remote Infrastructure Management gives you the ability to remotely monitor, record and analyze environmental security and safety conditions in your data center and equipment rooms. CPI’s Remote Infrastructure Management (RIM) System consists of a full line of appliances and sensors to provide continuous environmental, power and security monitoring in your data centers and equipment rooms. The RIM System allows for interconnectivity with building management systems and provides an integrated view of all facility equipment using a simple web interface. 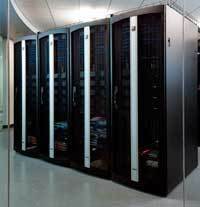 The RIM-750 is perfect for monitoring a single cabinet or small equipment room while the RIM-1000 allows you to monitor a row of high-density cabinets or small computer room. Use multiple RIM-1000 appliances to monitor multiple sites from a single web-based interface. 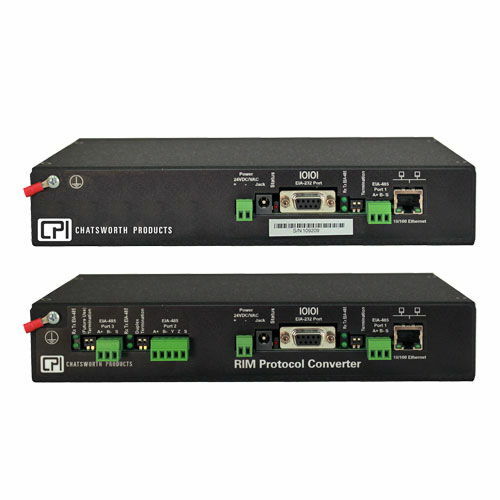 The RIM Protocol Converter converts sensor output from facilities equipment between SNMP, BACnet and Modbus protocols for integration into a building management system or a network management systems. Electronic Lock Kit System 1000 provides enhanced security over standard mechanical or combination locks. Electronic Lock Kit replaces standard locks for CPI’s F-Series TeraFrame® Gen 3 Cabinet System, GF-Series GlobalFrame® Gen 2 Cabinet System and ThinLine II Wall-Mount Cabinet. Each Electronic Lock Kit includes a standalone electronic keypad lock and hardware for mounting the lock to a specific type of cabinet and door. 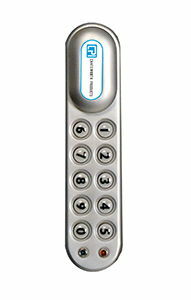 Eliminates the need for keys and allows quick lock reprogramming if there is a security concern. Supports three user levels with programmable access codes. New batteries provide approximately 15,000 open cycles. Battery power allows deployment on any cabinet. External battery override allows access if batteries fail. Kitted to match specific CPI Cabinets and door styles for easy selection and quick installation. 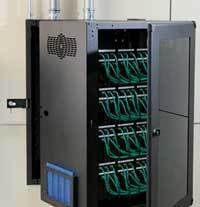 The GF-Series GlobalFrame® Gen 2 Cabinet System is an industry-standard server and network equipment storage solution for data centers, computer rooms or network facilities. CPI’s second generation GF-Series GlobalFrame features new size and finish options, enhanced panels and doors, and smarter airflow management. UL Listed 2416 – meets new UL requirements for equipment cabinets. Now available in 52U height, 700 mm width and 1100 mm depth to maximize space. Adjustable-depth Z-shaped mounting rails help block airflow around equipment. Locking side panels and doors secure equipment. Now available in Glacier White finish to reflect more light. Perforated doors are 78% open to maximize airflow. Up to 3000 lb (1360 kg) static load rating. Square-punched mounting rails with U markings for fast equipment installation. CUBE-iT PLUS® Cabinet System is an exceptional strength and rigidity in a swing-out wall-mount and floor-supported enclosure. 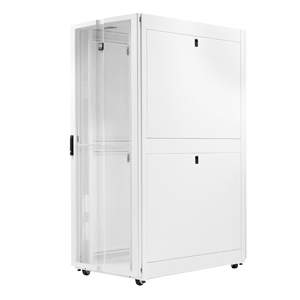 Swing-out cabinet body enables easy access to the rear of installed equipment. Rear panel is pre-punched with knockouts for conduit, and has interior cable tie points. Cabinet includes one pair of adjustable 19″ EIA threaded equipment mounting rails. Vented side panels increase airflow and accept fan accessory. Rounded corners and edges on front door improve safety. Choice of solid metal or plexiglass front door. Front door and rear panel lock to provide equipment security. Wall-mounted cabinet supports up to 200 lb (90.7 kg). Floor-supported cabinet supports up to 1,000 lb (453.6 kg).